Isaac, as we have seen, was the product of a miracle, born when his father Abraham was 100 years old and his mother Sarah 91 years old. Isaac is one of the few men in the Bible whose name was selected and announced by God prior to his birth. 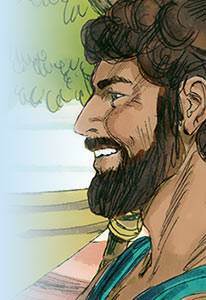 Commentators believe that Isaac was between 25 and 30 years of age when his father prepared to offer him as a sacrifice on Mount Moriah. If Abraham’s attitude was outstanding in this situation, so also was Isaac’s. He meekly allowed himself to be placed upon the altar, and lay there unresisting until the sacrificial knife was about to be plunged into him. It was an ordeal for the father, but no less for the son. 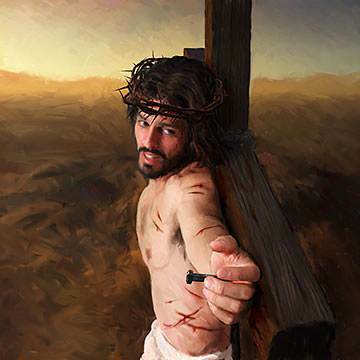 Question: Where do you find another instance of a Son voluntarily surrendering His life and laying Himself on an altar at His Father’s bidding? Answer: It was less than a mile from Mount Moriah—at the place called Calvary. Eternal praise be to His wonderful Name! 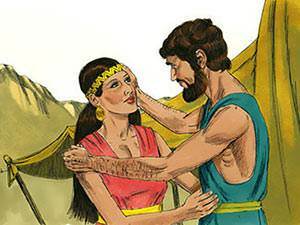 Now that Isaac is about forty years of age, Abraham concludes that it is time that a bride is found for his beloved son. Realising that marriage to an idolater might interfere with God’s future purposes, he commissions his servant Eliezer to travel to Mesopotamia in the hope of bringing back a fitting bride from among his own people. 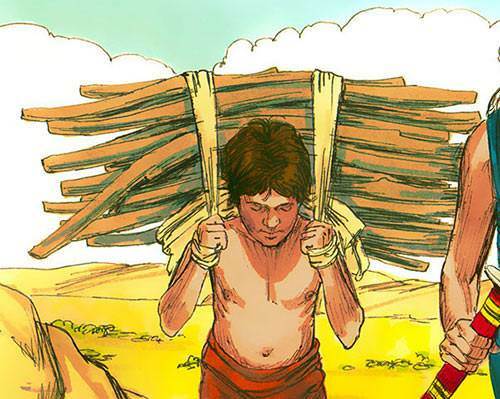 Worldly ambitions might have suggested that marriage to a Canaanite girl would be likely to result in the possession of territory by his grandchildren, but the spiritual considerations outweighed this. Abraham is not stated to have even consulted Isaac when he dispatched his servant to visit his homeland, and here again is evidence of Isaac’s complete confidence in his father’s faith and wisdom. The principle of not being “yoked together with unbelievers” is, in these modern days, often sacrificed on the altar of expediency. How do you feel about this issue? Is it a principle that guides you in all your relationships? 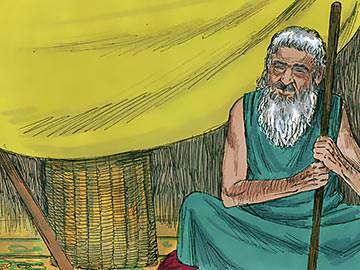 Abraham’s servant, Eliezer, performed his task of finding a bride for Isaac to perfection. 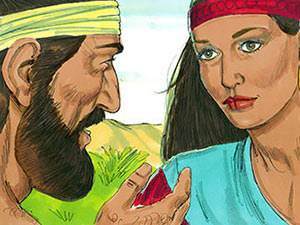 Having prayed for divine guidance, he was led to a beautiful young girl by the name of Rebekah who instantly struck him as being a suitable choice for his master’s son. After making all the necessary arrangements, he returns to Abraham’s household with the bride-to-be under his charge. It seems, by this time, that Abraham has informed Isaac concerning Eliezer’s mission, and as the servant is spotted returning to the homestead, Isaac goes out to meet him. 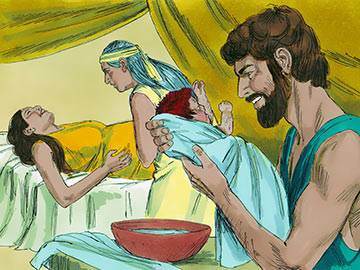 He accepts Rebekah as a gift from God, takes her into his mother’s tent and gives her his mother’s place in his heart. God heard Isaac’s prayer, and in due course the barren Rebekah became the mother of twin sons who, even in the womb, foreshadowed the long fierce struggle of the races that would spring from them. How intriguing are the ways of the Lord, who arranges events and situations so that His people are constantly dependent upon Him. Have you lost your dependence on God? Then don’t be surprised if He holds up the fulfillment of His promises until that truth fastens itself upon your heart. And down from Heaven sweet answers swiftly glide. A maiden veiled – his unseen, God-sent bride. Some comfort ever to some duty linking. The land in which Isaac lived became stricken with famine and, seeking food for his cattle, he makes his way to Gerar but is warned by God not to go down into Egypt. It is in Gerar that Isaac imitated the ruse which his father practised on two previous occasions (see Gen. 12:10-20 and Gen. 20), and evasively declared Rebekah to be his ‘sister’. His lie, however, was discovered by Abimelech, the king of Gerar, who rebuked him for his deceitfulness, and then instructed his people not to molest him. Isaac, a circumcised member of a chosen race, stood rebuked by an uncircumcised Philistine, and gave the enemies of Jehovah an occasion to blaspheme. Can a lie ever be justified? Some moralists say that a falsehood that is motivated by love is not a falsehood. But what does God say? “Do not lie to one another, seeing that you have put off the old nature with its practices” (Col. 3:9, RSV). 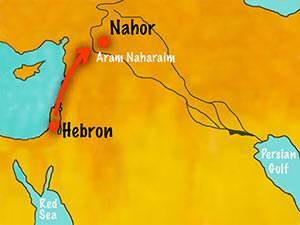 Isaac eventually settles in the valley of Gerar, where he found a number of wells which had been dug in the days of Abraham, but which had been filled up by the Philistines with rubbish and earth. 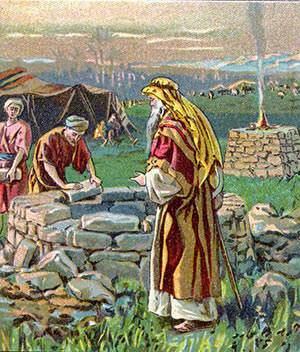 Isaac sets himself the task of re-opening the wells, calling them by the very names that his father had called them. He thus not only honoured his father’s memory, but also claimed his rights as his father’s heir. The ill-feeling of the Philistines prompted Abimelech to ask Isaac to depart from their land, but God continues to bless him, which in turn leads the Philistines to recognise that despite his failures, God is with the man whose heart is disposed toward Him. Feeling spiritually jaded at the moment? Does some memory of a past failure or sin continue to lacerate your soul? Confess it to God and put it behind you. Then go out as Isaac did, and do a great new work for God. Isaac feels he is approaching the end of his days and, according to custom, desires to bestow his blessing upon his firstborn son—Esau. He is aware that God had said that the older would serve the younger (Gen. 25:23), but he decides to go ahead nevertheless. 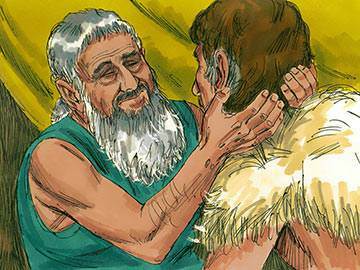 Rebekah, hearing Isaac’s instructions to Esau that he should bring him some fresh venison, decided to trick the old man into believing that her favourite son, Jacob, was the firstborn. 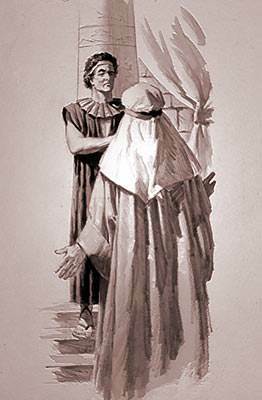 The deception resulted in Jacob being given the blessing of the firstborn, and Esau receiving the blessing of the secondborn. 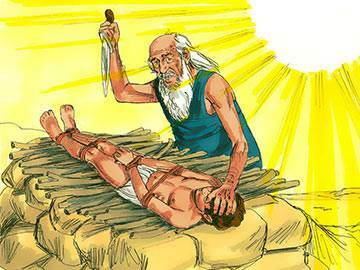 Actually Isaac lived many years after this incident, and died at the age of 180 (Gen. 35:27-29). Trickery and worldly schemes bring only heartache to any family. Most Bible scholars agree that Isaac’s life is far nearer to the level of ordinary humanity than that of his father Abraham’s. He seems to have started well but as he grew older, trends appeared in his personality which blemished the record of his early days. He is regarded by many as being too fond of ‘creature comforts’, and unduly favouring the son who provided them for him. 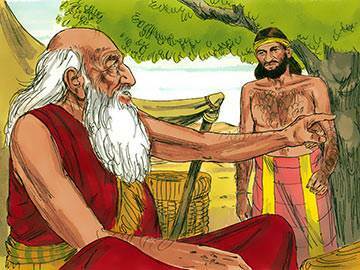 No formal eulogy is bestowed upon Isaac in the Scriptures; he is like his son, Jacob—“a plain man” (Gen. 25:27). Despite the negatives, however, Isaac had many virtues and graces: faith (Heb. 11:20), obedience (Gen. 22:6-9), affection (Gen. 24:67, 25:28, 27:27-33), as well as gentleness and marital fidelity. Without doubt the outstanding characteristic of his life is self-effacement. 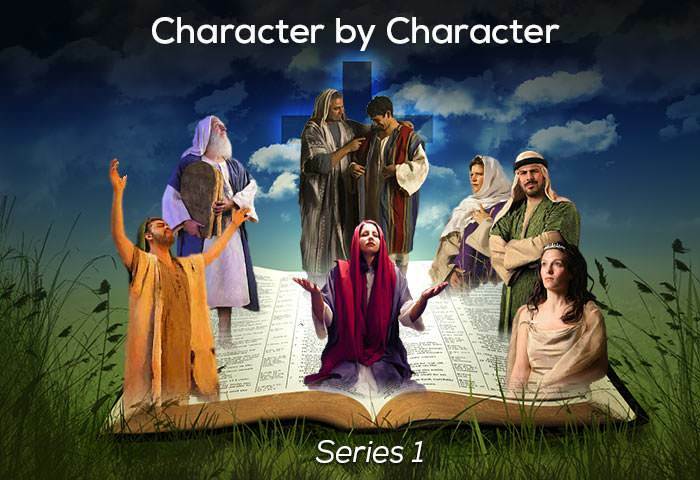 He taught the men and women of his day that “a servant of the Lord must not quarrel”—not be aggressive, taking things from people without their consent—but gentle, patient, self-effacing and humble (2 Tim. 2:24-25).